Assistant Professor (Physics) is holding the charge of Registrar. 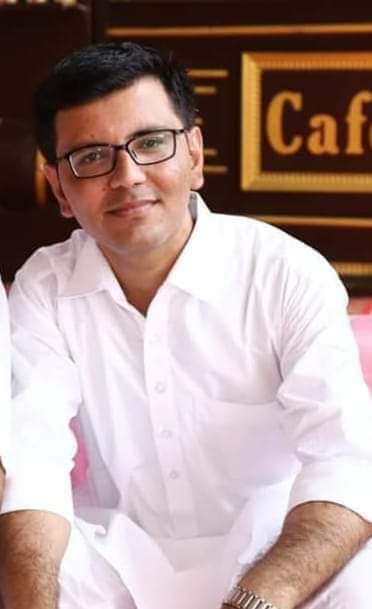 He has obtained Bachelor’s graduate from Kurukshetra University, Kurukshetra in 2001, obtained Master’s Degree from Indian Institute of Technology, Roorkee in 2003 and Ph.D. from Ch. Devi Lal University, Sirsa in 2015. He is working on this position since 01.09.2016. Prior to this, he has worked as Officer-in-Charge (Administration) from August, 2013 to 2014. Sh. Puneet Chawla, Assistant Professor (Electrical Engg.) is holding the charge of Officer-in-Charge Administration, an Engg. Graduate in field of Electrical Engg. from Punjab Technical University, Jallandhar in year 2004 and obtained Master’s Degree in Engg. with Distinction in Instrumentation & Control from Panjab University, Chandigarh in 2015. He has worked on this position from February, 2008 to August, 2013 and is working since 01.09.2016 to till date. He has vast experience of teaching, research and administration over the years and perform various tasks and jobs in the Institute and for the society.